Luxurious full-coverage and mineral-based Foundation. Water-gel formula glides on; dries quickly to a silky luminescent finish. Oil Free. Available in 9 shades guaranteed to work for women of all color. Talc-free; Paraben-free; Lead-free; FD&C/D&C Dye-free. Net Wt. : 30ml/1.0 fl. oz. A rich, luxurious foundation should glide on smoothly, dry quickly and leave behind a silky finish that makes the skin glow. Oil free! That’s exactly what Mirabella’s Skin Tint Crème does; it’s you, only better. This mineral-based formula provides medium coverage that creates the perfect, even base for blush, eye shadow and other touches of color. Formulated for perfection, our Skin Tint Crème is talc, paraben, lead, FD&C/D&C Dye free. 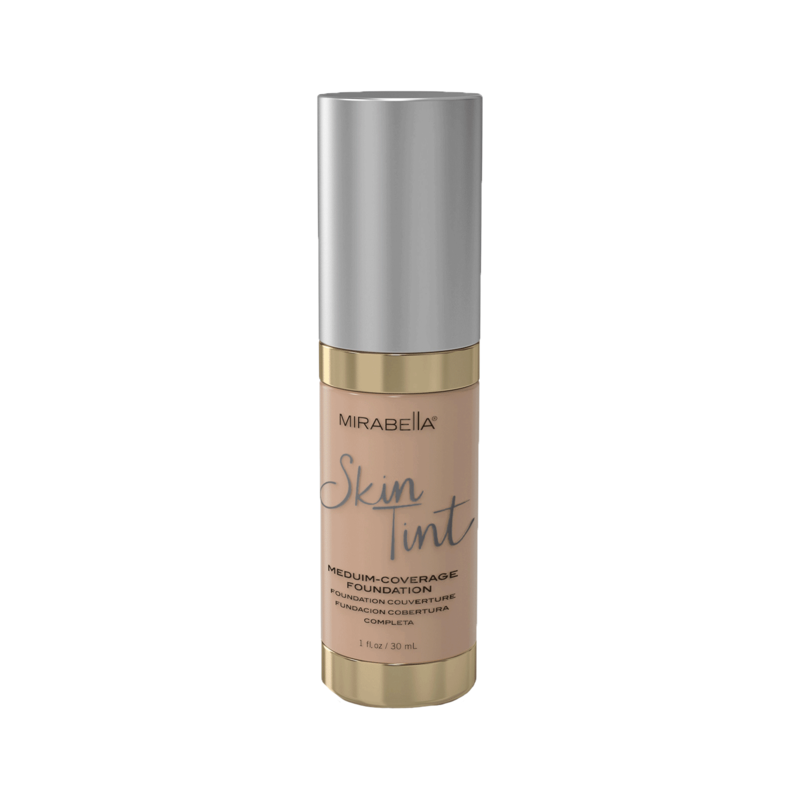 With 14 available colors, Mirabella’s Skin Tint Crème has a shade that’s just right for you.